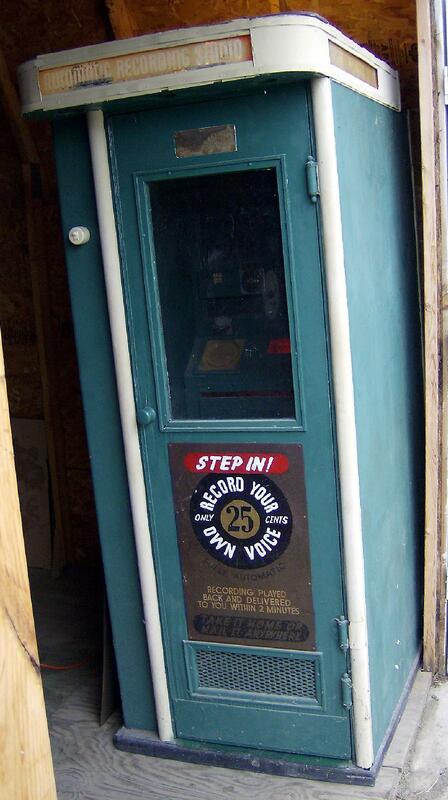 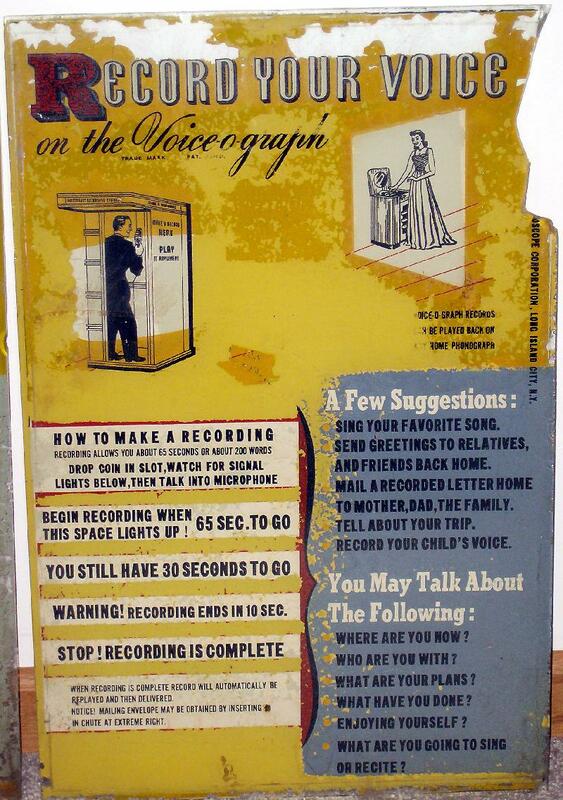 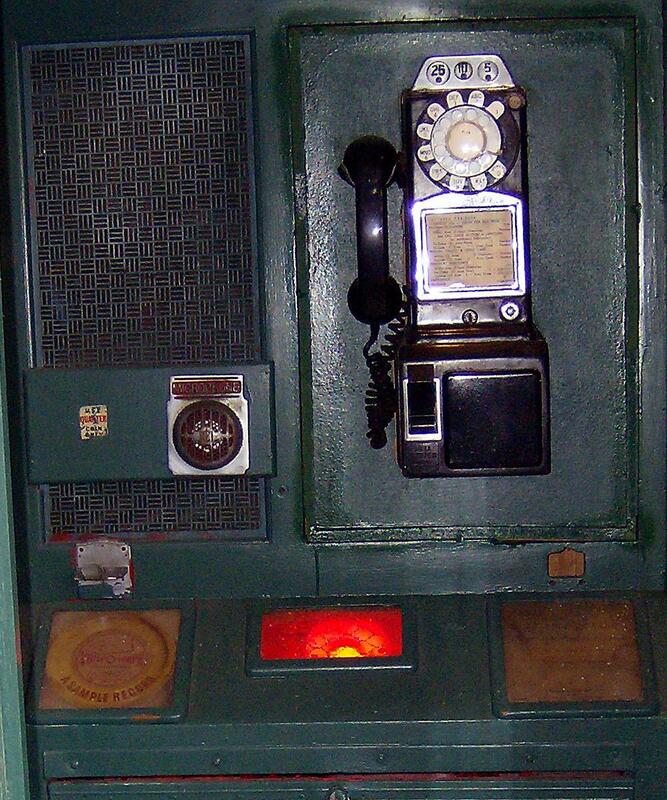 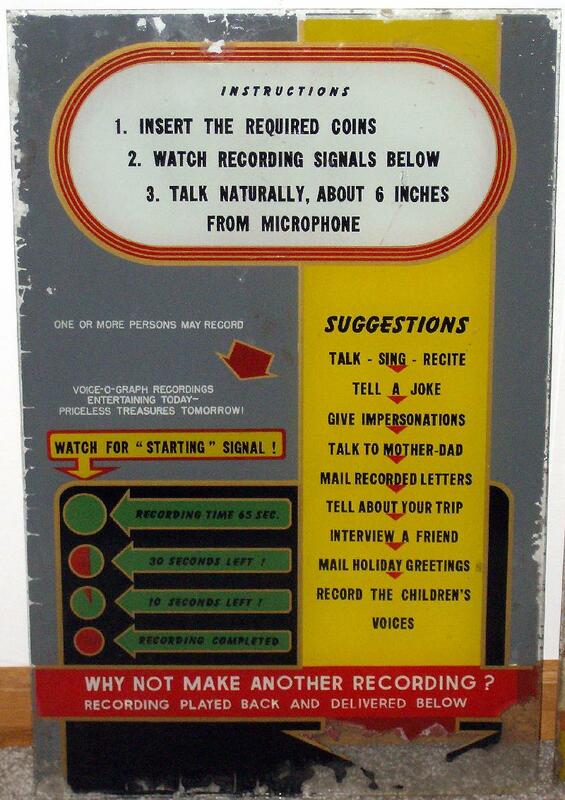 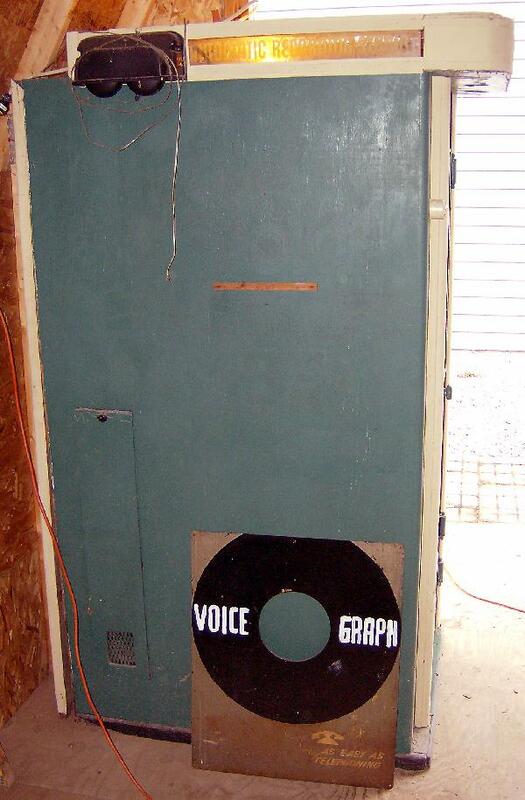 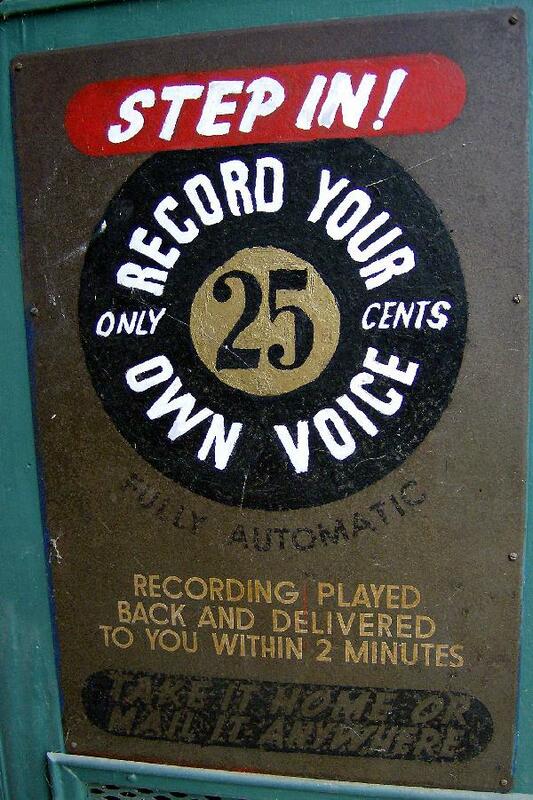 A record recording booth (similar to a photo booth) that lets the patron make an actual 6" record which could be played on any record player. 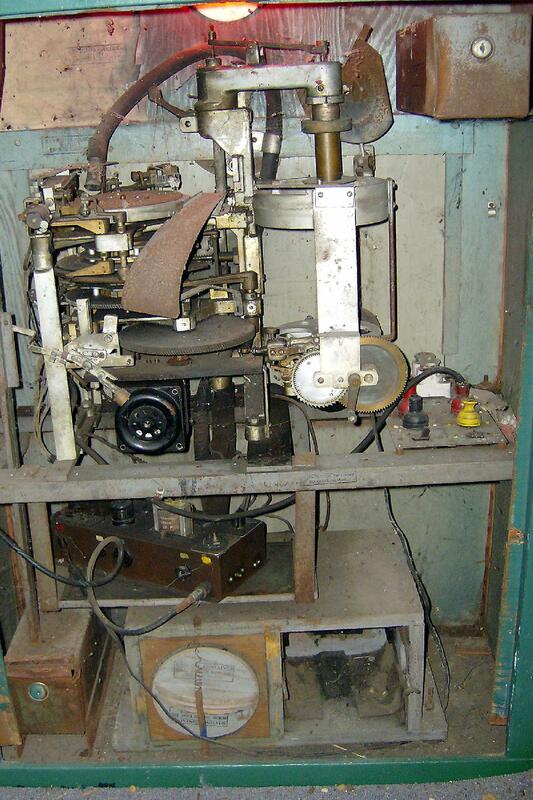 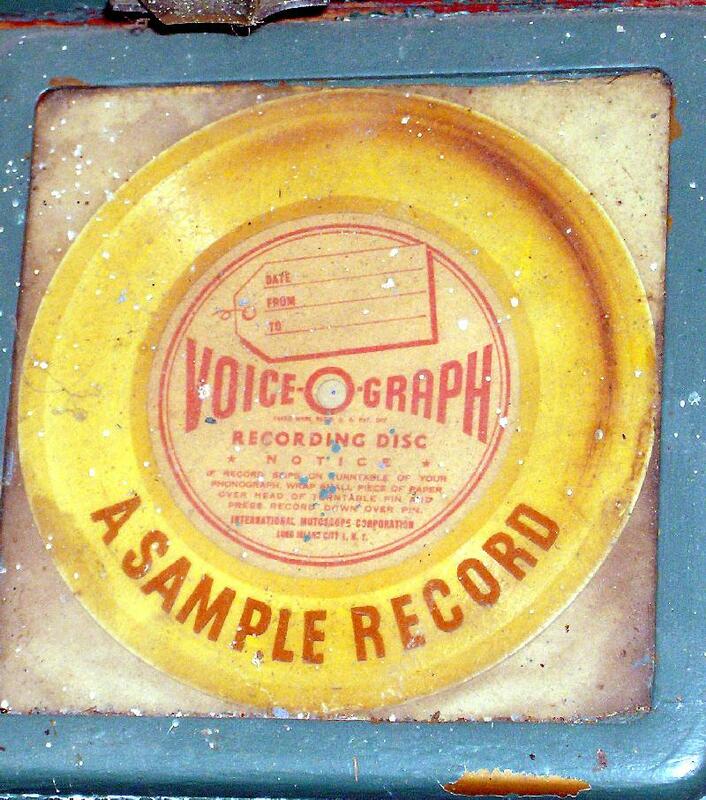 Customer selectable output record for 45 or 78 RPM. 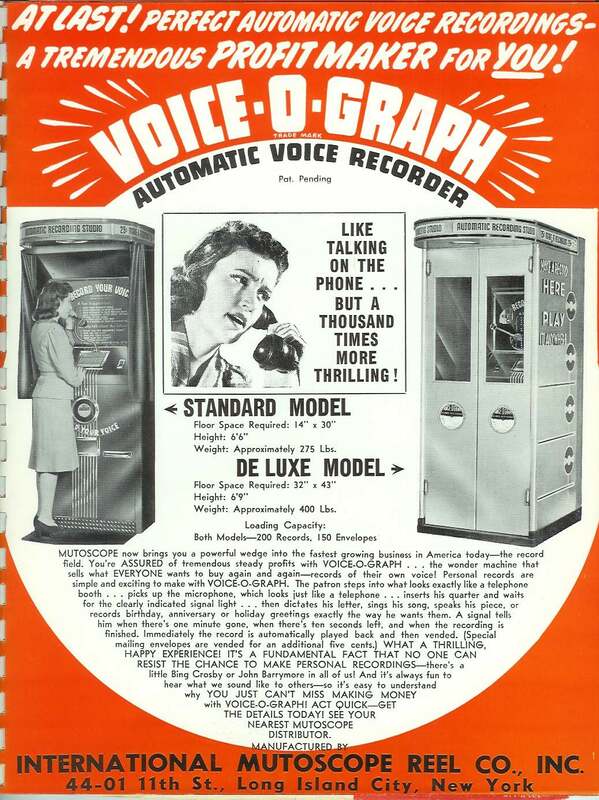 Note this machine has gained some popularity recently due to Jack White's usage of the machine on late night TV shows. 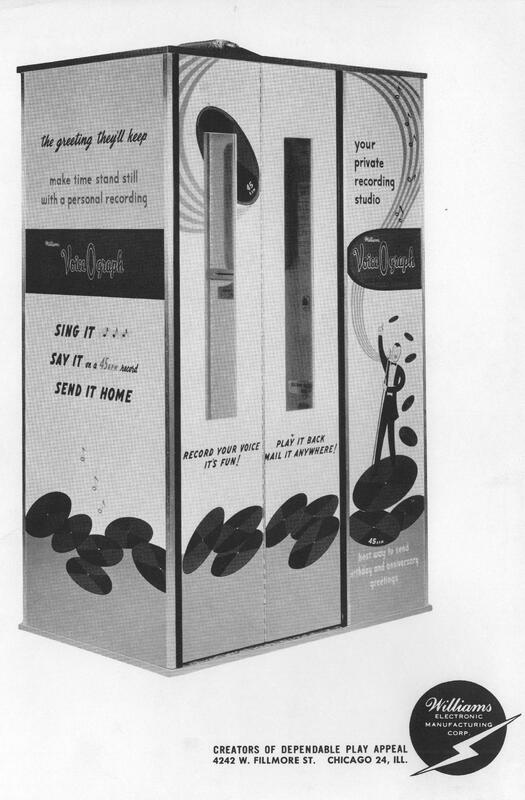 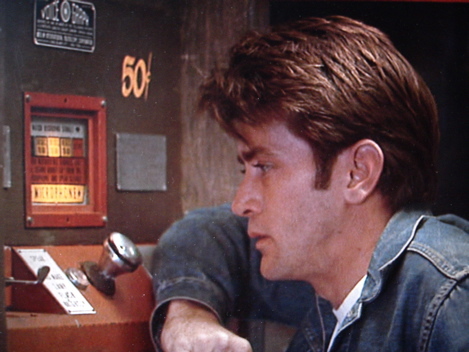 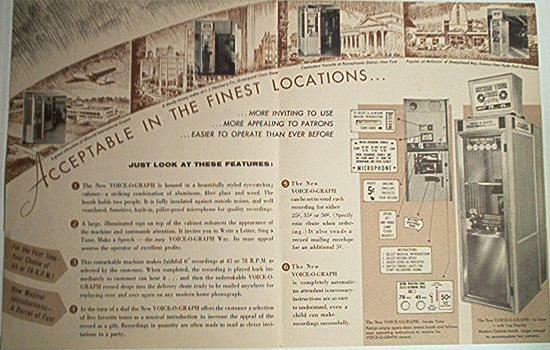 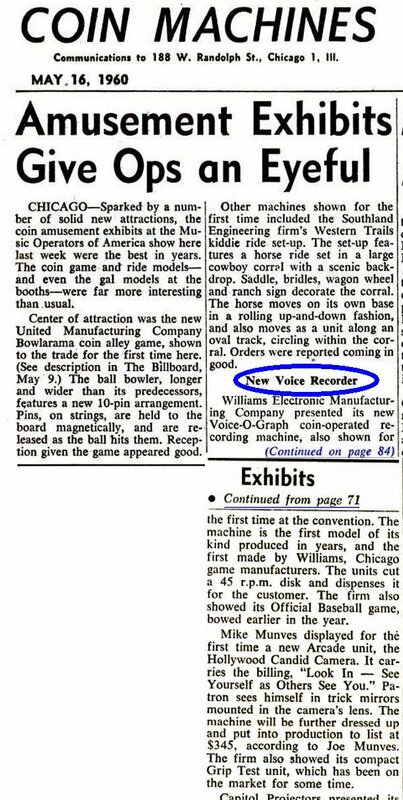 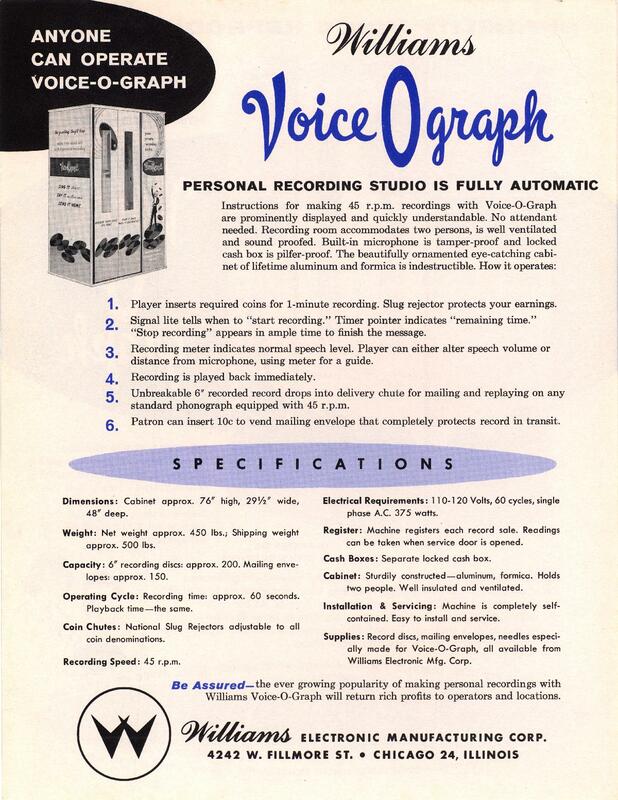 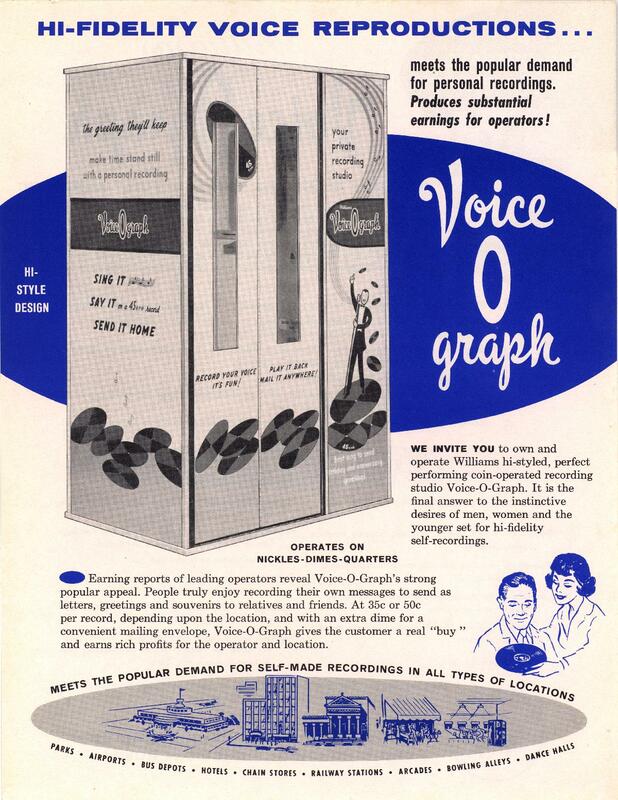 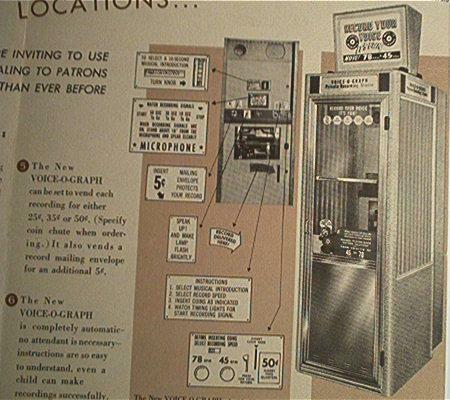 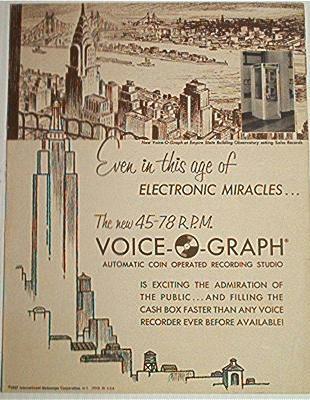 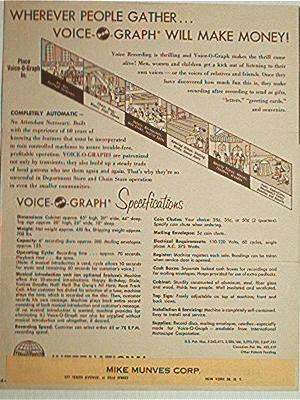 Williams announcing their production of the Mutoscope Voice-a-graph in 1960.